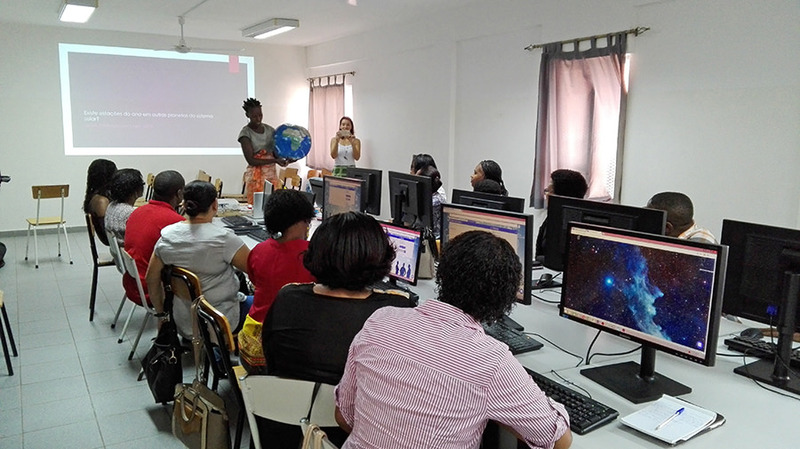 Open Astronomy Schools is a project that intends to invite the already existing community of teachers and trainers involved in teacher training events since 2009 in the framework of projects like the Galileo Teacher Training Program, Universe Awareness and others. The Open Astronomy Schools global project is composed of a series of challenges and opportunities especially designed for the education community. The project will use the community building approach foreseen in the OSOS (Open Schools for Open Societies) project to involve major stakeholders. Schools at the centre of their communities will play a major role in the project that aims to achieve important results and bring the OSOS vision to formal and informal settings all over the world. Co-creation of teacher training opportunities, selection of tools and resources adapted to integrate social and cultural aspects of local communities, embedding research opportunities to enrich lessons, fighting light pollution are some of the projects that are going to be implemented under this important flagship. Stakeholders from all over the world will be invited be invited follow the roadmap and become members of the Open Schooling movement. As part of the OAS initiative a Teacher Training call was launched in January 2019 to foster the promotion of training events, with financial aid available. Every organiser and participant will receive a certificate endorsed by the International Astronomical Union in the framework of IAU100. The goal is to engage 100 nations in promoting teacher training events on the framework of IAU100. Information Communication Technology (ICT) tools such as planetarium software, image processing software, simulators, etc. One or more topics of astronomy following a specific list of suggested topics. Inquiry and Project Based Learning and interdisciplinarity. Observations of the Sun and/or night sky (naked eye or with telescopes). Integrating at least one of the UN Sustainable Development Goals. What is the role of schools as a knowledge hubs? How to transform students in change makers of their communities? How to solve problems using the Design Thinking methodology? The added values of the OSOS tools. More challenges and opportunities will be announced soon. Stay tuned!